In an early season Wayne County-Finger Lakes West girls cross-over match-up Thursday night, the Marion Black Knights overcame a 22 point effort from Jalen Nowden to defeat Harley-Allendale-Columbia 51-30. Honeoye hosted and defeated Warsaw, 42-34. Kale Pestle scored 14 and Hannah Reynolds had 11 points in the win for the Lady Bulldogs. Girls 🏀… @HoneoyeSports gets the dub with a 42-34 decision over Warsaw. @kpestle18 scores 14 points & @hannahjreyn0lds with the MONSTER game: 11 points, 15 rebounds, 8 blocks, 7 steals. The Marcus Whitman girls outlasted visiting Clyde-Savannah in double-overtime, 61-48. Jordyn Chappelle led all scorers with 22 points and teammate Emily Thompson filled up the boxscore with 16 points, 10 steals and 7 assists. For Clyde, Tayler Sharp scored 17, Essence Mitchell had 15 and Eliana Mitchell scored 12 in the loss. Two Finger Lakes East girls teams stepped out of league and both were dealt losses. Wayne fell at home to Brighton, 55-44 despite a 15 point 8 rebound effort from Alana Kornaker and a 13 rebound game from Gabby Zenolovic. Makalah Sizer scored 25 for Brighton to lead all scorers. The other FL East loss came in Palmyra as visiting Edison defeated Pal-Mac, 53-48. Also, in a game that was late to report on Wednesday night, Midlakes hosted Gananda and won easily, 49-29. Alaina Forbes scored 25 points while Cara Walker added 17 points and 7 rebounds. Macy Kisner pulled down 12 rebounds for the Screaming Eagles. 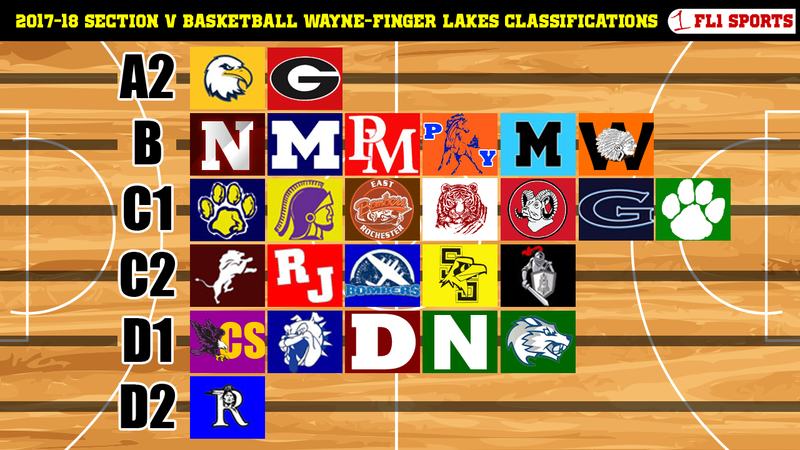 In the only boys game involving Wayne-Finger Lakes teams on Thursday, Coach Lester Miller’s Dundee Scots defeated Canisteo-Greenwood handily by a final tally of 53-28. * Local girls basketball fans should be sure to catch this Sunday’s Upstate Hoops Podcast at noon. South Seneca’s Heather Mott, Mynderse Academy’s Jerry Anderson and Red Creek’s Mike Krauza will be live in-studio to preview the season ahead. The appeal by Monroe County’s public schools was turned down, and Aquinas and UPrep will play in Class AA in Section 5 boys basketball this season.